Body composition changes cannot be precisely captured using body weight or body mass index measures. Therefore, the primary purpose of this review was to characterize the patterns of body composition change in females treated for breast cancer including only studies that utilize imaging technologies to quantify adipose tissue and lean body mass (LBM). 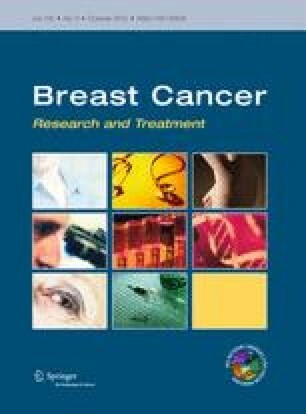 We reviewed PubMed for studies published between 1971 and 2012 involving females diagnosed with breast cancer where computed axial tomography , dual-energy X-ray absorptiometry, or magnetic resonance imaging were employed for body composition assessment. Of the initial 440 studies, 106 papers were evaluated and 36 papers met all eligibility criteria (15 observational and 21 intervention trials). Results of these studies revealed that body weight did not consistently increase. Importantly, studies also showed that body weight did not accurately depict changes in lean or adipose tissues. Further findings included that sarcopenic obesity as a consequence of breast cancer treatment was not definitive, as menopausal status may be a substantial moderator of body composition. Overall, the behavioral interventions did not exhibit consistent or profound effects on body composition outcomes; approximately half showed favorable influence on adiposity while the effects on LBM were not apparent. The use of tamoxifen had a clear negative impact on body composition. The majority of studies were conducted in predominantly white survivors, highlighting the need for trials in minority populations. Collectively, these studies were limited by age, race, and/or menopause status matched control groups, overall size, and statistical power. Very few studies simultaneously collected diet and exercise data—two potential factors that impact body composition. Future breast cancer trials should prioritize precise body composition methodologies to elucidate how these changes impact recurrence, prognosis, and mortality, and to provide clinicians with appropriate advice regarding lifestyle recommendations in this growing sector of the population. Support for this study was provided by the National Cancer Institute, Career Education and Career Development Program, #R25CA057699-18.